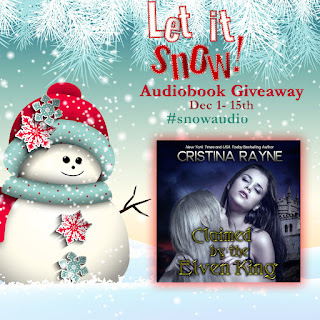 Cristina Rayne Fantasy and Paranormal Romance Author: Let It Snow Audiobook Giveaway! Let It Snow Audiobook Giveaway! From December 1-25, I’m giving away 8 of my audiobooks courtesy of Audible.com to 3 lucky winners in the US and 5 in the UK! But wait—there’s more! We have dozens of romance authors participating in this giveaway. All you have to do is search #‎snowaudio on Facebook or Twitter to find additional giveaways!